ANN ARBOR, Mich. -- University of Michigan head football coach Brady Hoke announced today (Wednesday, Jan. 8) that offensive coordinator Al Borges will not be retained for the 2014 season. "Decisions like these are never easy," said Hoke. "I have a great amount of respect for Al as a football coach and, more importantly, as a person. 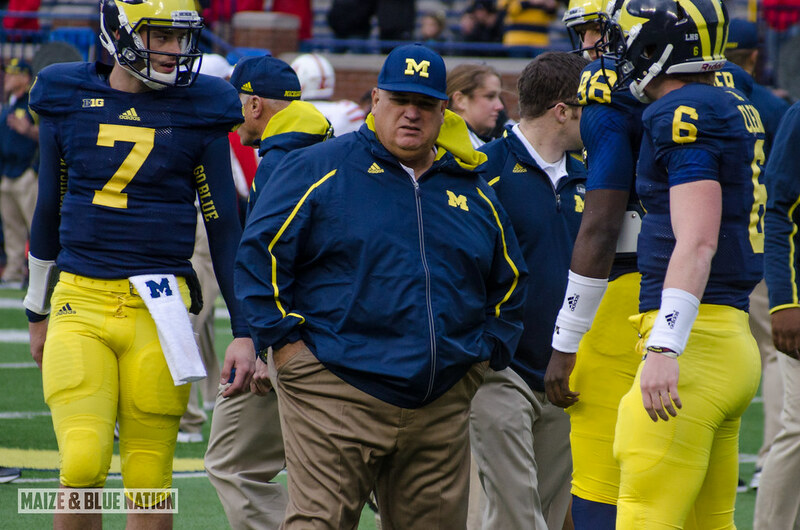 I appreciate everything he has done for Michigan Football for the past three seasons." Prior to joining U-M in 2011, Borges was a member of Hoke's staff at San Diego State in 2009 and '10. The Wolverines will begin spring practice on Feb. 25 and finish with the annual Spring Game on Saturday, April 5, at Michigan Stadium. And just like that, he's out. "Not retained" is about the nicest way to say that you've been canned. Al Borges had a rough year, no doubt. But it's clear now that the fate of Brady Hoke's future at Michigan will no longer be attached to the success or failure of Al Borges. Let the OC search begin. Although, one has to think a move like this wouldn't have been made without at least a pretty good idea who his successor will be. Early rumors are that Michigan has reached out to UCLA OC Noel Mazzone. Whoever ends up being hired, they must be ready to take total control over the offense. I don't see Hoke stepping in and calling plays. He's a defensive coach, plain and simple. This is a huge potential hire for the program and will have an immediate impact. More news at 11.